Since November 2009 she has organized and coproduced a unique event, the Polish Independence Concert held at the Museum of Warsaw Uprising in Warsaw on November 11 and at the Warsaw Royal Castle on May 3. It presents Polish patriotic songs in new and modern arrangements in her Hybrid Music style. Until now this concert has involved over a hundred artists, including musicians and actors. 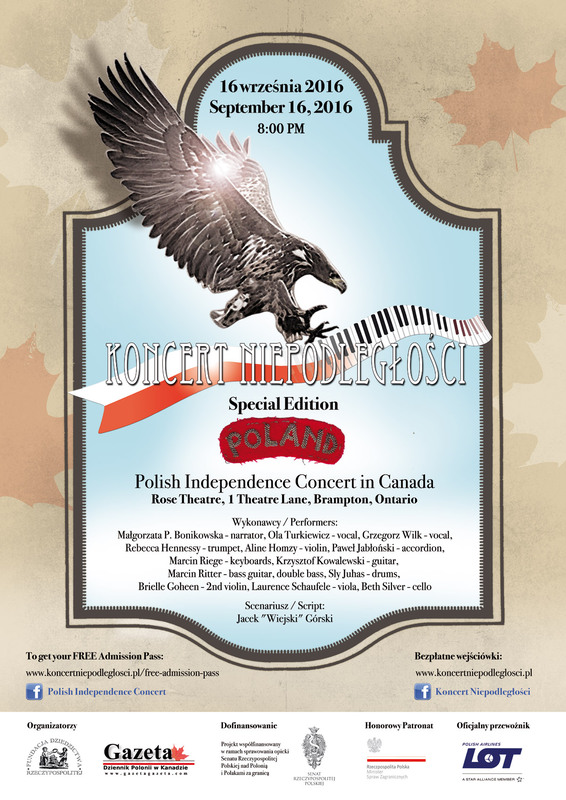 On September 16 at 8 p.m. a special Canadian edition of the Polish Independence Concert titled “POLAND” will be held for the first time outside Poland, in Canada. The concert is both in Polish and in English.